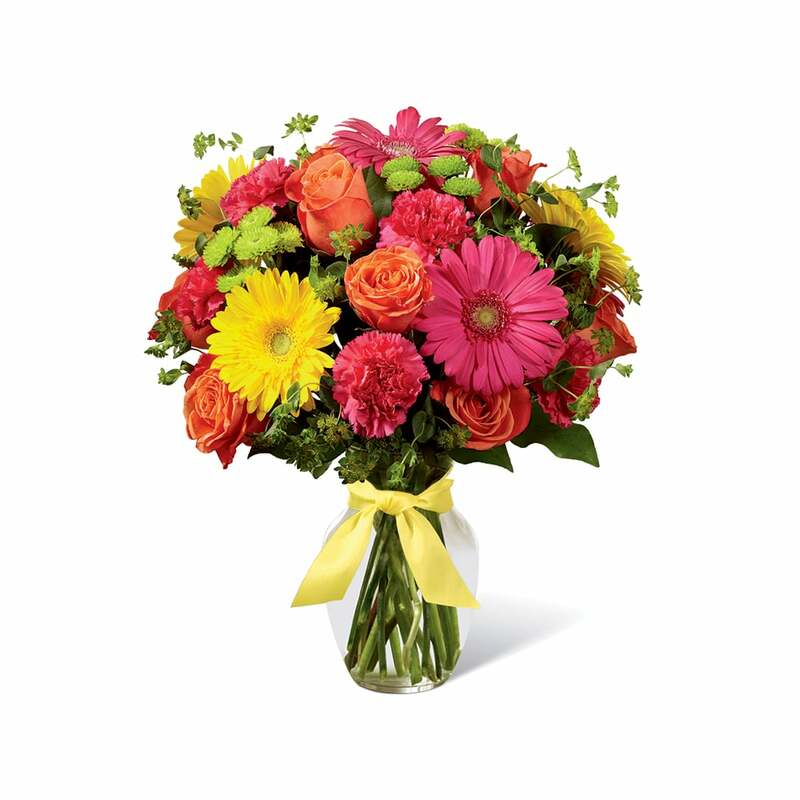 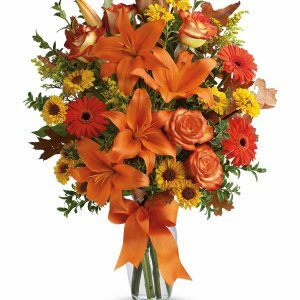 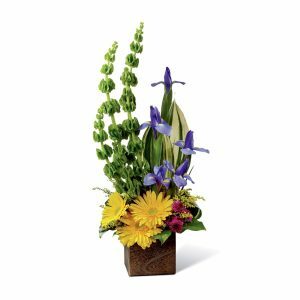 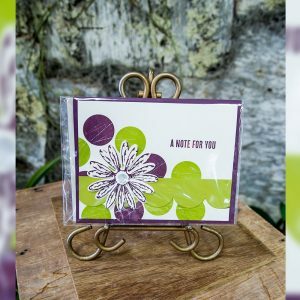 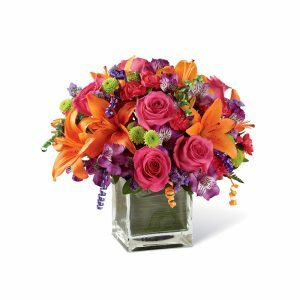 Celebrating life with colorful blooms that inspire and delight, this flower bouquet is ready to create a happy moment for your recipient that they will never forget. 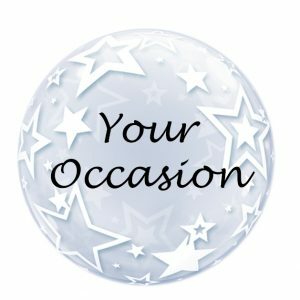 Orange roses, hot pink gerbera daisies, yellow gerbera daisies, hot pink carnations, green button poms, bupleurum, and lush greens mingle together to create a sunlit display while seated in a classic clear glass vase tied at the neck with a yellow satin ribbon for a sweet affect. 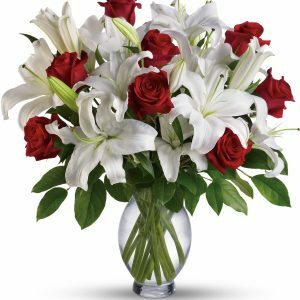 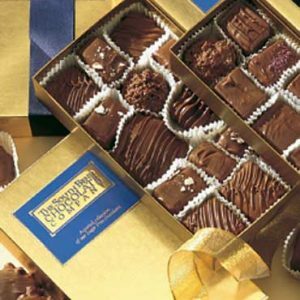 A perfect get well, happy birthday, or congratulations gift!